Order your custom Hypnotherapy recording today! Need to achieve a particular personal goal? It could be anxiety relief, more confidence, a business or professional goal or perhaps overcome a challenge, situation, phobia or addiction. Do you want to create a new mindset? We create hypnosis recordings targeted specifically just for you - effectively and quickly. Give yourself the gift of a recording you can listen to over and over again even as you fall asleep at night to program your mind in the most easy and comfortable way with lasting and proven results. Your personal custom Hypnosis recording, includes 1 hour phone session, the writing of your hypnosis script, recording the script, creating your MP3 with beautiful music and nature sounds of your choice and then making the recording available to you by download. The Journey's Inward Hypnotherapy mp3's are incredible. I have tried several other hypnosis cd's from other company's and I have never gotten the results I am getting from these mp3's. The same day I started to listen I had immediate results and the results and freedom have been coming ever since. I have only been listening for a week and I already am manifesting such great positive results. I have had many subconscious fears and beliefs that would hold me back from achieving my full potential. If someone was negative around me, it would usually bring me down and knock me off my center. Now I am unaffected by others thoughts and emotions. I can stay in my power and feel great no matter what is going on around me. I highly recommend these mp3's, I am forever grateful to Mariah for her special talent. I am succeeding so fast because of her sharing her gift. Thank you! Regarding Custom Hypnotherapy: The mp3 hypnotherapy sessions from Journey’s Inward have been painstakingly and meticulously mastered to create a soothing and peaceful frame of mind, only restricted by the user’s willingness to use them to his or her advantage. Each session does really take you on an inward journey, where all things are possible, from relaxation, to conquering or overcoming problems and issues, with something to offer everyone. Although I am a seasoned user of such sessions and guided meditations, everyone has the ability to recall the information in a session, and imagine the places that your mind takes you with practice, guided by the expertise of Mariah Shipp. Each session helps the user relax the mind and body in order to attain the full the full benefits of the sessions, which can be incorporated into all aspects of everyday life. I conducted a current search, and previewed hundreds of hypnotherapy and guided meditation CDs or MP3s; none of which had every single quality I was looking for in a pre-recorded session. After purchasing the general relaxation and smoking cessation sessions from Journey’s Inward, I not only had great confidence in the quality of these mp3 downloads, but I also gained a newfound respect for the work and effort put into them by Mariah Shipp, compared to the hundreds of others I had either previewed or purchased in the past. My pain levels and smoking have decreased, as well as a slow and steady decrease of the incredible stress I feel as a psychology master’s student. The stress reduction alone has increased my ability to concentrate, retain information, and complete my coursework without a thousand thoughts going through my mind all at once. I spoke to Mariah for quite some time regarding custom sessions, and I immediately felt that she truly cared about my health and well-being. Custom sessions are created after Mariah spends considerable time asking relevant and important questions about what each individual wants to achieve, as well as various things that will help someone maximize the benefits of the session. I am a firm believer in the mind-body-spirit connection, and that each part of an individual can have either a positive or negative impact on the other. I received the most beautiful and meaningful session that I ever could have hoped for, which is helping me undergo transformation like a butterfly undergoing metamorphosis, or a flower slowly blooming until it is full. For that, I am truly grateful to Mariah Shipp. The custom sessions are so much more individualized, while the pre-recorded sessions pre-recorded sessions are usable by anyone and everyone. Journey’s Inward, under the direction of Mariah Shipp truly helps people reach their fullest potential, overcome obstacles or problems, and enhance all aspects of life. Give a session a try, and it just may change your life as much as it has mine. RE: Custom Hypnotherapy Session: I have had great results in my life, by working with Mariah. I stopped drinking after only one session with her, after 25 plus years of struggling to quit. I feel happier every day. I have tools now that help me cope with challenging moments in life and feel relieved and more at peace every moment. I have worked with spiritual teachers for 16 years and the work with Mariah has definitely helped me to make the most change in my life with the least amount of effort! My energy is picking up and I feel the depression has lifted. I have hope for the future and excitement to get up in the morning and march forth into the day. I highly recommend working with Mariah for any challenges in your life. She is awesome. Mariah Shipp (CCH) is a Certified Clinical Hypnotherapist and (CAC) a Certified Addictions Counselor. 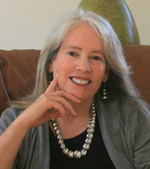 She holds graduate degrees from Heartwood Institute in California, the Alchemical Institute in Denver and the Transpersonal Hypnotherapy Institute in Boulder, Colorado. She was the owner and director of the Halcyon Center for personal growth for 10 years and has been in private practice as a hypnotherapist/counselor since 1990. She brings over 32 years of experience in the field of personal growth, psychology, addictions and the healing arts. She has helped hundreds of people achieve happier and healthier lives through her therapy. Secure payments can be made through PayPal or through our Merchant account if you would prefer to use a credit card. Mariah is happy to speak with you and work with you to address your needs and create positive lasting change in your life, no matter where you live just pick up the phone and give her a call.